According to The Hollywood Reporter, David Ayer, the writer/director of Sabotage, End of Watch, and the upcoming Fury, is eyeing working on Warner Bros/DC Entertainment's upcoming Suicide Squad film. Suicide Squad is a DC team book about incarcerated villains looking for a way to redeem themselves/get out of JAIL. 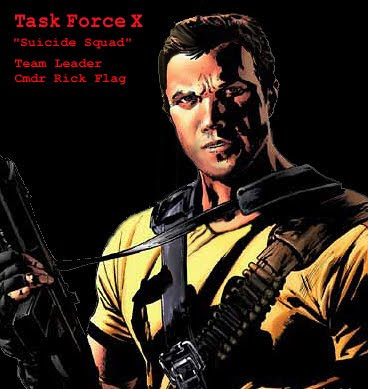 The Suicide Squad team goes on over-the-top missions and the death of team members is expected, hence the name. The team features Harley Quinn, Deadshot, Black Manta and more. He seems to have the right sensibility to this. I've only read the 80s run, though. I've heard the newest one isn't really that good. Then again, I also don't exactly hold the original as a masterpiece or anything. Sounds to me like DC/WB is hedging their bets on that "Justice League Dark" project Guillermo Del Toro was developing. As with all DC/WB cinematic projects, I find it very difficult to care until they show some sign of competence. I, along with Oscar, recently finished the original series from the 80's. It's very good and even beautiful in its themes and character development. There are a lot of ways I feel they can screw it up, though, especially if they draw more from more recent iterations (of which there should be none, honestly) than the original series. I feel my point is actually summed up pretty nicely given that the picture Project used for the thread is a relaunch of a relaunch dedicated to satirizing how bad the previous relaunch was. Here's the real deal, yo. Or at least some. It's a pretty large, shifting roster, but the ones I'd want to see are Amanda Waller (middle aged and heavy), Deadshot, Captain Boomerang, Bronze Tiger, Nightshade, and Count Vertigo. And maybe Rick Flag and Enchantress in addition to some supporting cast members. I think the first three are a given, though whether we get the right Amanda Waller or not will definitely color my perceptions of the film before it even comes out. In the words of the New New Suicide Squad manager when referring to the concept of the Squad, "You can't possibly screw this up!" And yes that line is painfully self-aware. Oh, come on. That quote means absolutely nothing, and of course rumors are going to fly every which way. I don't even see the point in discussing who will or should play the Joker, because there's going to be a firestorm of controversy no matter who gets tapped. And that's assuming Joker is even in this movie, which is far from a given. Until something comes from more official sources, I refuse to think about the matter any further. Yeah, it sounds like rumor fueled clickbait. I really doubt its authenticity. My first reaction to Will Smith playing Deadshot and Jared Leto playing Joker is exactly the same as my first reaction to Ben Afflect playing Batman: "Really? Are you sure? Sounds like something that someone made up for clickbaiting." Yet those rumors somehow, improbably, came to pass and I'm left with one question: Where the hell is Deathstroke? Seems to me like he should be the centerpiece of the movie, not Deadshot or Joker. Regarding the cast we did get, I don't think that Will Smith's casting is as far out of left field as many think. Remember, his character in After Earth was supposed to be some stoic badass, and I think that could easily be parlayed into a ruthless assassin killing bad guys so the government doesn't have to. The big question, however, will be in checking Smith's ego. In his last star vehicle, the guy was promoting himself and his son, using M. Night Shyamalan as his lapdog. It's anyone's guess how he adjusts to being just another cog in the new DC Cinematic Universe, itself a small part of the larger Time Warner machine. As for Jared Leto, the guy's made no secret that he's insane. Seriously, based on his career moves and every interview I've seen him do, I'm convinced that the guy doesn't think like everyone else. Leto may be an unorthodox choice to play Joker, but I'm willing to believe that he'll surprise us. 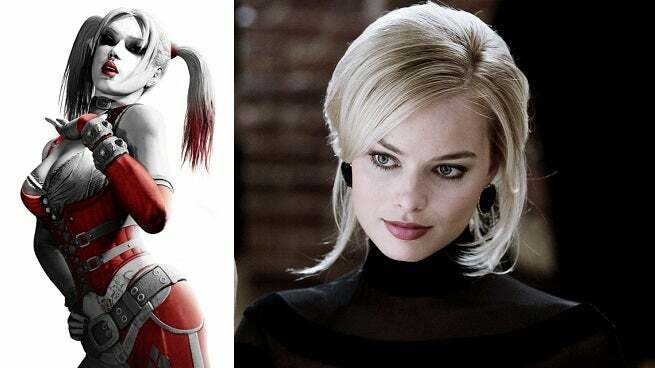 Also, Harley Quinn finally gets a big-screen, live-action appearance and Margot Robbie gets her well-deserved A-list break. Yay! I have no comment about the other actors or the characters they play, mostly because I don't know who Cara Delevingne is, Tom Hardy's talent needs no explanation or defense, and Jai Courtney is barely worth any consideration. All that's left to say is that director David Ayer seems to be most at home in dreary, amoral quagmires. Even a cursory glimpse of his filmography (particularly from Training Day onward) shows that Ayer is at home with protagonists so conflicted that it's often hard to tell them apart from the villains. In short, it's hard to imagine a more perfect fit for the job. ^ That exactly. To be fair, though, the Joker's *never* been on the team. Of course, at least he's never been on the team for parody purposes like Deathstroke. I was not aware of that. Based on everything I've heard about him, I thought he was the premier assassin of the DCU. Oh, he is. He was just placed on the most recent incarnation of the team because he's a more extreme version of Deadshot. To quote team handler and treasurer Vic Sage, "You can't possibly screw this up!" Also, they're missing the most important character so far, though I assume they just haven't announced them yet because they're not technically part of the actual team. Last edited by Godziller66 on Thu Dec 04, 2014 9:18 am, edited 1 time in total. I assume you're referring to Amanda Waller. I'd personally love to see Viola Davis get the role, but it looks like she'll be busy with some ABC show for a little while longer. Octavia Spencer, on the other hand, would be another fine choice and it looks like she'll be in need of another job very soon. Another thought occurs to me with regards to the Joker: Is it just me or has DC/WB been struggling with Batman's rogues gallery recently? Consider "Beware the Batman," released just after the Dark Knight trilogy bowed. Aside from Ra's al Ghul, the villains for that show were comprised of Professor Pyg, Anarky, Magpie, Humpty Dumpty, and other such D-listers. Granted, that show didn't last very long, but I think that actually helps to prove my point: Why would they lead with those villains instead of Joker, Mr. Freeze, Poison Ivy, or other more iconic villains? Then of course there's Gotham. The TV show in which the Batman villains are only seen in figurative utero. "Why did DC/WB give us this instead of Gotham Central?" asked the fans. "Why couldn't we see the Gotham PD try to cope in a world with supervillains?" I have a hypothesis, and it's the same reason why we're seeing Joker in a Suicide Squad film instead of a Batman film. I think that at some level, the folks at DC/WB know that all the A-list Batman villains have been done to death. There's no way to do a live-action Joker without drawing comparisons to Nicholson or Ledger, there's no way to do Penguin without laboring in Burton's shadow, and any portrayal of Ra's al Ghul will have to deal with Nolan's extensive take. Filmmakers can't even cast Mister Freeze or Poison Ivy, because that would just remind everyone of Batman and Robin, and no one wants that. The Batman villains are obviously too lucrative a cash crop to stay untapped for very long, but they've been done so many times in so many ways that not even a complete film or TV reboot will be enough to revitalize them completely. So they had to get creative, placing the characters in entirely new, out-of-left-field contexts that no one would have thought of. Hell, this logic might even explain why Batman is being put up against Superman instead of getting his own solo franchise for the third time in as many decades. This cast is gonna be nutso bananas. Not gonna lie, I really hate the casting choices so far.